Town’s long battle to save a 1930s jewel | The Dacorum Heritage Trust Ltd. Opening of The Rex Cinema on 9th May 1938. 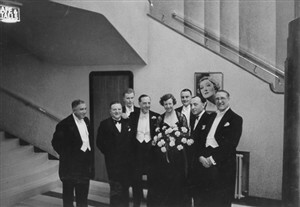 Ralph Lynn standing on Lady Davidson’s right. 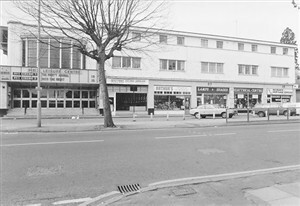 Nicholas King Homes proposed building flats around a 600-seat cinema in the existing auditorium, the restoration financed from proceeds from the sale of the flats. IT was to be operated by the Trust. The Trust proposed a multi-purpose arts venue with a three-screen cinema, gaining support from notables such as Joan Bakewell, Hugh Grant, Hayley Mills and Ian Richardson, but the Council feared three cinemas would exacerbate parking problems. 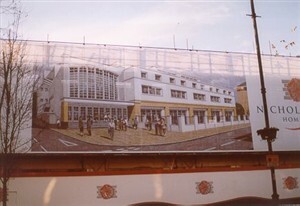 In December 2000 it was reported both schemes had planning permission, but the Nicholas King Home one went ahead and the auditorium area was leased to James Hannaway. The Rex has re-opened and Berkhamsted has regained its cinema! 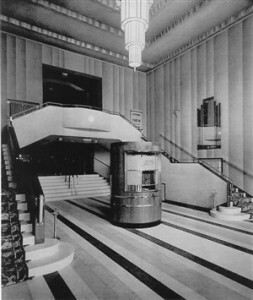 Sadly the auditorium is no longer reached through its imposing entrance and spectacular foyer but by means of a side entrance. One needs to visit Gatsby’s to something of the glory of the original entrance.